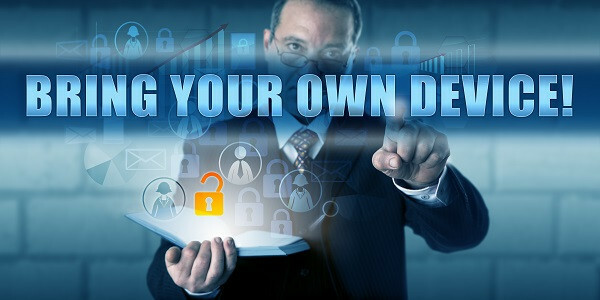 Many enterprises are adopting a bring your own device (BYOD) policy with varying degrees of success. What are the reasons why an enterprise would support this mobile policy? What are the biggest disadvantages of it? Enterprise Mobility Exchange wanted to understand more about how leading enterprises were approaching BYOD. At the 2018 Enterprise Mobility Transformation Exchange, we spoke with Aaron Kimbrough, Sr. — Manager II Digital Operations at Walmart — to learn how their enterprise is working with a BYOD policy. Organizations in every sector are adopting BYOD policies for their workforce and realizing incredible benefits. 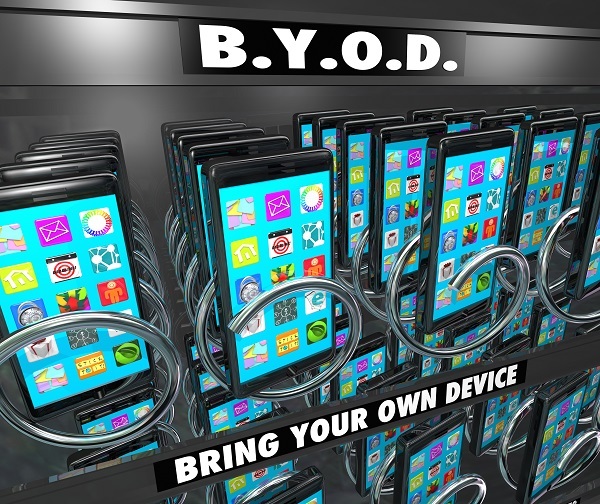 Perhaps the most prevalent advantage of BYOD is cost-related. By avoiding the expenses of having to purchase devices and network plans, enterprises that allow employees to use their own personal mobile devices for work typically achieve cost savings. The company also averts the cost of having to repair devices. Instead, IT is free to focus on other tasks. Most employees generally want to use their own personal mobile devices for work. Numerous studies have revealed that workers (especially younger ones) believe that their personal devices are more effective. Employees tend to be more comfortable with their own devices, as opposed to learning how to use new one, and they are more productive. These workers are also more likely to access enterprise apps after hours. With workers more satisfied because they get to use their devices, companies can decrease turnover. “The advantages of BYOD as a policy are that it allows our associates to use the devices that they already have to do business functions, which I think that they already want to do. It just puts the power in their hands,” said Kimbrough. 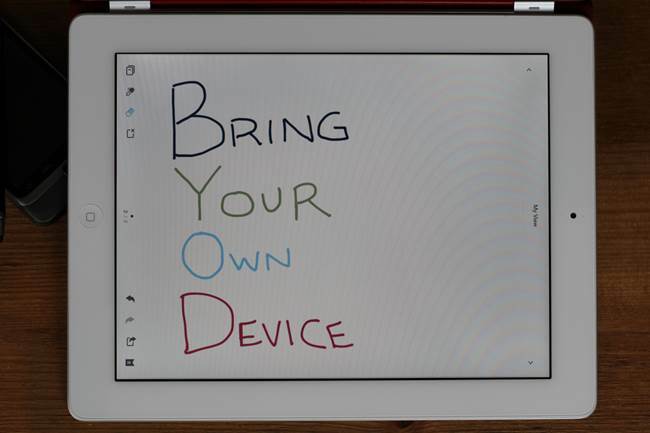 Despite the benefits of BYOD, there are several disadvantages. The biggest issue usually regards security. An employee’s personal device might not be secure with passwords or encryption. If the enterprise doesn’t have the right mobile policies, some personal devices may lack up-to-date antivirus software. In addition, there is usually a lack of visibility into personal devices (especially when compared to devices owned by the enterprise). Without the visibility, employees can do things such as accessing public WiFi, which is a security hazard. There are also the privacy issues that have to be dealt with. Some employees don’t want to use their personal mobile devices for work because they fear that their employer might have access to their personal data. Also, if there’s no container, then the employee might be worried that their personal data can be wiped at any moment. “The biggest concerns with BYOD are with security and privacy of course, making sure that we don’t infringe on the privacy of our associates, but also make sure it’s secure for our enterprise,” said Kimbrough. 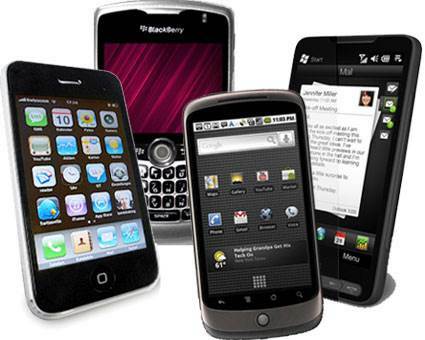 There are also other issues with BYOD, such as legal concerns and the lack of uniformity of mobile operating systems. In addition to having a solid BYOD policy, Walmart is also experimenting with numerous next-gen technologies as part of their digital transformation. In the past year, Walmart has leveraged artificial intelligence (AI) and blockchain to track certain items in the stores. The company is also using virtual reality to train its associates for all types of situations. The training has been very efficient, and it frees up more time for associates to focus on customer service.